Our self-published books: Hooray! We have found our Hero! 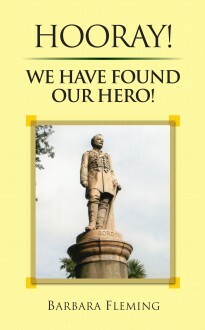 Here is a book to open your eyes and lift your spirits as you meet with this ‘hero of heroes’, General Charles Gordon. A fearless soldier and a triumphant Christian, he walked, fought and joyfully lived with Jesus as his life-long friend. Read how he followed him, giving to all in need, encouraging all who feared, and bringing joy to all who shared his life in any way. Come and share that life in these pages, written to be read by young and old. And be uplifted and inspired by the story of this man who joyously trusted in God every minute of his day.